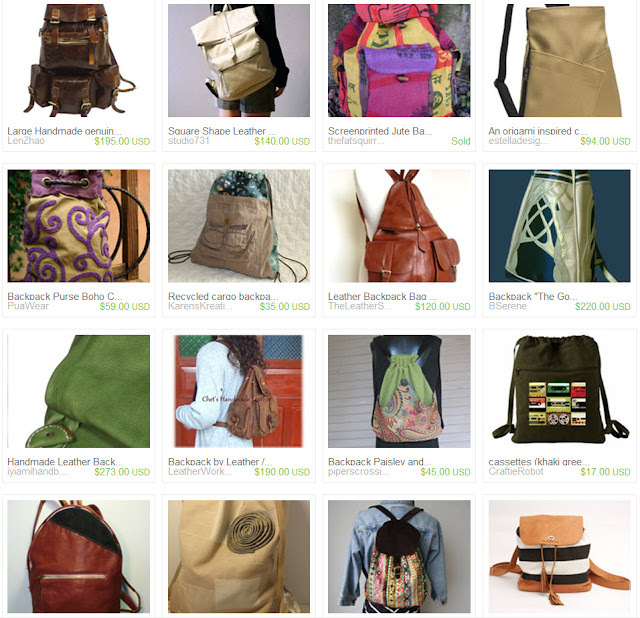 In honor of kiddies everywhere going back to school, I've made this week's Etsy treasury about backpacks and binders. Also, in honor of back to school, here's a quiz... What movie is this quote from? "It's where I keep all my things. Get a lot of compliments on this. Plus it's not a purse, it's called a satchel. Indiana Jones wears one." Here are some old Franklin Covey binders I recovered that my boyfriend and I use to jot down ideas and to-do lists. He uses his for song ideas. I know Sue, I want them all!